In an earlier article, we talked about the shortcomings of Google Keep and all the ways it needs to improve to become the go-to notes app for your stylus-equipped Chromebook. Luckily, the remedy for Keep’s weaknesses is already here. Best Android Apps For Your Chromebook is a special segment we do here at Chrome Unboxed to highlight apps from Google Play that work exceptionally well on your Chromebook. As developers continue to make their apps better on the bigger screen, we want to highlight the ones that are doing it well that may be of use to you on your Chrome OS device. Meet Squid (formerly Papyrus). A well-executed, complete and versatile tool for any stylus-equipped Chromebook. One of my early concerns with having an active stylus on a Chromebook (or any device, for that matter) was whether or not apps would support and fully take advantage of all the tech in the screen and pen. As it stands, there are quite a few apps in the Play Store that can recognize and take advantage of all the neat things an active stylus can do. Squid is one of these apps, and it takes FULL advantage of the tech in the Samsung Chromebook Pro. So let’s look at what this app does well. If you only used Google Keep, you’d be forgiven for thinking the pen in the Samsung Chromebook Pro and Plus is average at best. Once you fire up Squid, though, the experience is night and day. Lag is almost completely removed. 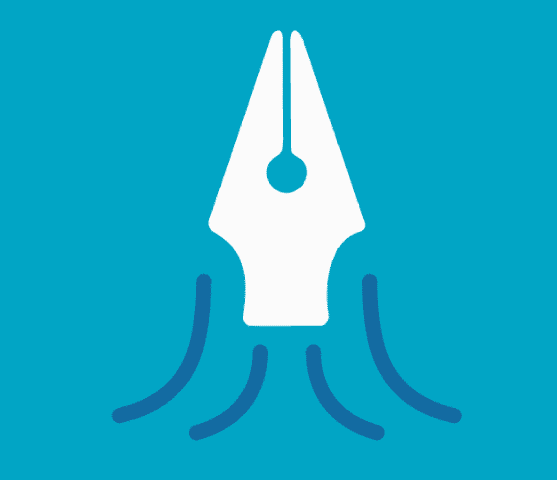 Writing and sketching feels natural and smooth, even when feverishly jotting notes in a class or meeting. Again, unlike Keep, this app deftly tracks pressure with every stroke. This adds to the natural feel of writing on a glass screen and, between this and lack of pen lag, plays into the experience of making writing a real pleasure. While not exactly intended as a sketch tool, Squid’s fantastic pen tracking could easily serve as a decent tool for just that task. Again, in sharp contrast to Keep, Squid gives the user a TON of choice on page templates. From standard ruled paper to graph paper and score paper for sports, you are likely to find what you need. Additionally, adding a page to your current note is a quick click away – another feature that is maddeningly missing with Keep. Lastly, you can choose real paper sizes (8.5×11, A4, 11×14, etc.) or an infinite canvas for your notes. This canvas is zoomable as well, giving you added flexibility. Also included is the ability to highlight parts you’ve drawn and move/resize those scribbles as vector objects. Need to move that paragraph of notes down a bit to make more space? Grab it and move it! Paper can’t do that. You can also drop image files right into the note as well. They become part of the note and can be resized and manipulated to any position to fit your layout. Along with imported pics, Squid allows simple shape creation and text entry as well. Have you ever needed to simply sign a document? Get the email, print it out, sign it, re-scan, email back. Wouldn’t it be nice to just open the file, sign, save and resend it? With Squid, you can! And it is just as simple as it sounds. Squid also allows you to link your DropBox or Box Account so all your stuff is saved in the cloud for viewing or editing on any device you own. The sync settings are less than perfect, though, as the shortest sync interval is 6 hours. Keep definitely handles this better, but it is workable as long as you just remember to manually hit sync before leaving your device. Lastly, there’s a convenient Chromecast button up top as well, giving you the ability to simply cast your notes to the big screen in real time. Whether displaying a note or using it as a digital white board, this feature is great to see. If you are looking for a great note taking experience, look no further. I’ll be honest, if Google Keep gets all these features, I’ll come back. But, for now, I’m sold on this one. To unlock all the available features, you do need a subscription that costs $1/month. But, if you are in need of a pad and paper synced across your accounts and devices, this is a very small price to pay. I can’t recommend Squid enough!